I’ve been attempting to try out this thing when you kinda wake up a little earlier in the day and kinda do some exercise before you start work at 9am. IT IS HARD. IT IS CHALLENGING. But, like everything else in life, nothing comes easy. The personal gain at the end of it will outweigh the cons of doing nonsense things such as, you know, waking up at 5.30am when it still looks like bedtime outside, or cycling 7 odd miles in this darkness and cold to save two quid on travel fares (it all adds up people). Well I hope so anyway. I’m a total newb to the morning fitness regime, unlike Bangs who regularly finishes her 6am runs before I even crack open one eye. Waking up earlier means you can do your day’s exercise before the day’s even started, freeing up your evenings to do more social things, or sit on your laptop writing posts…. I’ve done it 3 times now, once with Nike Training Club, where we were told it was going to be Yoga but turned out to be a high intensity workout session (we loved it in the end), and the other two times with Blue Cow Yoga, a yoga studio hidden amongst the vast amount of grey City buildings in London’s Square Mile aka the financial district. We got a free 5 session pass for which is soon to expire, no better time than the present to kick start a morning fitness regime eh? Blue Cow Yoga offers yoga and pilates classes, as well as treatments in their wellbeing spa throughout the day at their studio. They have a variety of yoga classes suitable for everyone, from beginners, the ones up the duff (pregnancy yoga), those looking for more of a strength based session, pure stretch & relax class and even a 2-hour self-practice class with a teacher on hand. I’ve attended their 7.15 Dynamic Flow class, a fast paced yoga class which requires you to hold postures for a little longer and flow through a dynamic sequence…in other words you need to have strength girllll! My upper body isn’t the strongest, but since practicing Ashtanga Yoga regularly with Yoga Flex London in 1948, I have definitely noticed a massive difference in how my arms and back are looking and little by little, I am able to hold poses supported by my arms for a little longer! There is often this misunderstanding that yoga is boring, full of humming, heavy breathing and people holding prayer positions. People don’t realise how much strength you actually need to get yourself into poses, and you’d be surprised at the amount of muscles you develop from what may seem like simple manoeuvres. 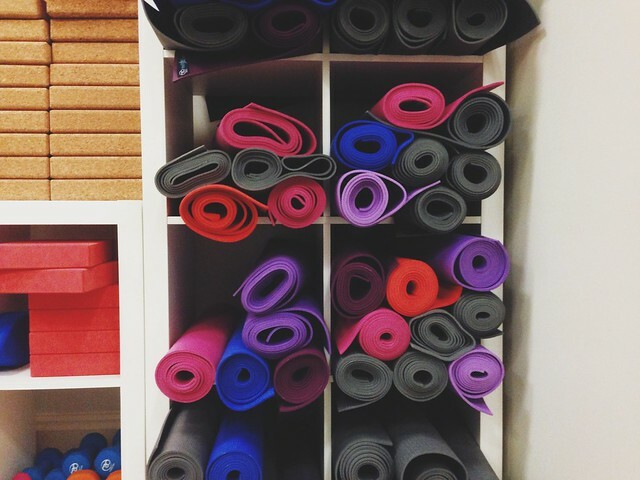 Candles are lit as soon as you step into your yoga studio for you to relax before the class starts. There are mats, blocks and straps available for you to borrow. Fear not, they are clean! You have to wipe the mats down after your class has finished. Both the teachers I’ve experienced have been great, taking their time to get us into the correct positions, pushing us deeper into our poses and helping out the newer yogis. 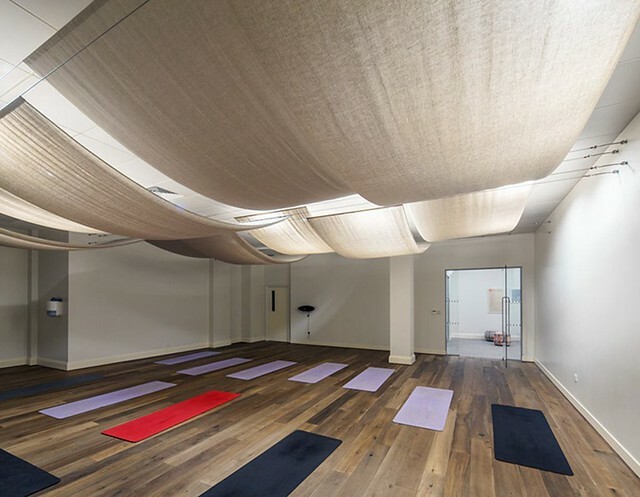 What I really love about Blue Cow Yoga’s studio is that although it is in the basement of a building in one of the busiest areas of London, as soon as you step in, there is this sense of calm that takes over. The soft music, the subtle smell of something nice in the air. You have to remove your shoes when you pass reception, where you can help yourself to a hot drink to wake up a little for those early morning sessions. Being an Asian, I know all about taking your shoes off when you step indoors which is why I appreciate this little touch so much! It makes the whole place so much cleaner, and the bathrooms are immaculate. 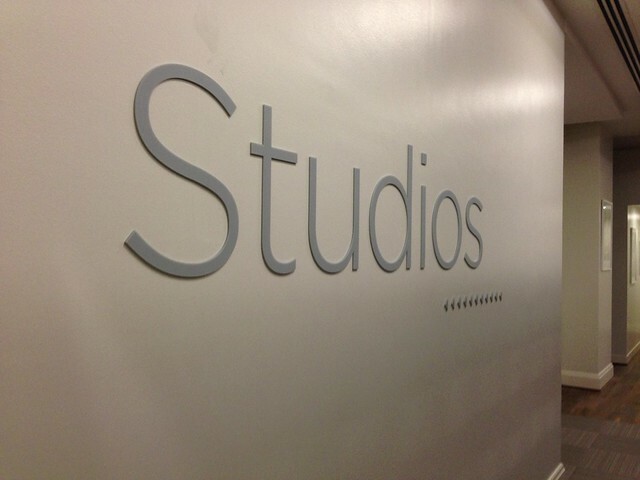 They are running an offer at the moment where new studio users can have one week free to test the waters before signing up. I would definitely recommend it! Especially for those working in the City who struggle to fit in a regular fitness regime into their busy schedule. Are you more of a morning or evening fitness freak? We're still undecided as to what we prefer, we would love to hear your thoughts on it!